Download RE Qualifications sheet for strategic planning and policy analysis. 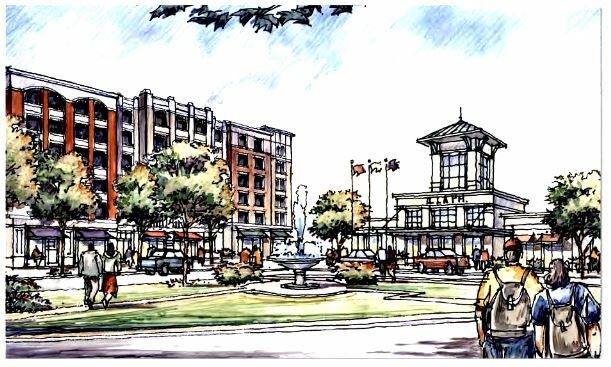 Working with Cardno, Redevelopment Economics assisted the Centralina Council of Governments in developing a Brownfields-Greyfields Toolkit to encourage investment in brownfields and greyfields sites in the Charlotte, NC/SC region. The toolkit stresses making better use of existing financial tools, such as tax credits, HUD CDBG and HUD 108, Clean Water State Revolving Funds, tax increment financing, Supplementary Environmental Projects, and insurance recovery. The Maryland General Assembly passed new legislation - HB 613, Sustainable Communities - Designation and Financing, summarized here. The bill reflects the recommendations made in two of our reports to the Maryland Sustainable Growth Commission - one report is posted here; the other is availalble on request from Evans Paull. Washington State adopted Senate Bill 5296 and House Bill 2079﻿ “Accelerating Cleanup of Hazardous Waste Sites.” Following up on the recommendations of the Maul-Foster and Redevelopment Economics' report, “Washington State: Brownfields Policy Recommendations” report, the bill makes wide-ranging changes to the Washington brownfields program, including authorizing new Brownfield Renewal Authorities (BRAs). Policy studies and impact analysis lead to an aggressive brownfields agenda for the Oregon Genaral Assembly. Proposal include establishing a brownfields income tax credit and enabling legislation for brownfields land banks. Advised the State of Iowa relative to Proposals to Make Strategic Investments in Brownfields Redevelopment, leading to the Brownfields-Greyfields Tax Credit. When with the City of Baltimore, Evans Paull drafted substantial parts of three Maryland brownfields reforms in 1997, 2002, and 2004. Redevelopment Economics teamed with Maul-Foster to produce the "Brownfields Scoping" report for Portland Metro. The report analyzed a series of policies and financial incentives and their potential to accelerate redevelopment of sites (like Cannery Square in Sherwood, OR, pictured above). See also the in-depth Analysis of Policy Tools.